Book your Okanagan fishing adventure today! There is a diverse range of freshwater sport fishing experiences and settings, from char, pike and walleye angling in the Arctic drainage of the Peace region to bar fishing for white sturgeon on the Fraser River . . . from spectacular westslope cutthroat experiences in the Kootenays to world class rainbow on the fly on small interior lakes . . . from steelhead angling on world class rivers to the kids next door fishing in a local stream . . . fishing in British Columbia is part of our lifestyle and our culture. The freshwater and tidal sport fishing sectors provide substantial social, cultural and economic benefits for the province. In the global marketplace, B.C. 's saltwater and inland sport fishing experiences attract the attention of those seeking a combination of B.C. 's natural setting and the thrill of catching a fish. 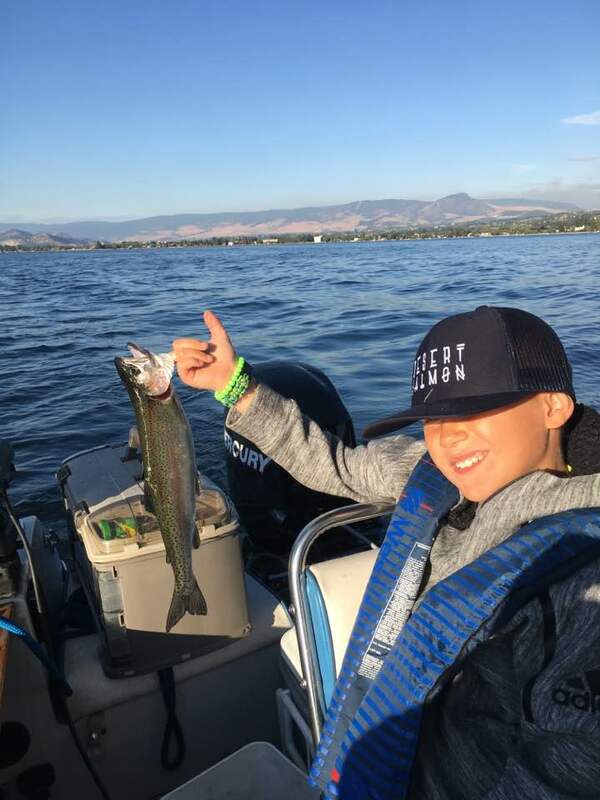 Resident and non-resident anglers not only share an interest in some of the best fishing anywhere but also a desire to protect these experiences and the resource for future generations. An overwhelming theme running through the recreational sector is to ensure that 'fish come first'. Whether in fresh or tidal waters, anglers and sport fishing businesses want to work in cooperation with those who manage the fisheries to secure a future for the fish as well as the experience and livelihoods those fish provide. Unlike the commercial sector, economic stability of the sport fishery is not totally dependent on numbers of fish harvested. Instead, the critical factor is maintaining 'opportunity' and 'expectation'. To be viable, the sport fishery must provide anglers with an opportunity to go fishing and an expectation of catching some fish. Although recreational anglers seldom catch their allowable limit, the expectation of a good day is a powerful motivator. In addition, the fishing experience means different things to different anglers in terms of the species pursued, fishing techniques and location. Sport fishing is primarily a seasonal activity but occurs virtually every month of the year somewhere in the province.